Myrtle Beach 2011, a photo by Nicole's Needlework on Flickr. I just got back from Myrtle Beach. It was so much fun! I am worn out!! It was so good to see everyone again and meet some new friends. I can't wait for next year!! Thank you again Amy for all the hard work and for putting together such a great event (as always)!! Check out my flickr album for more pics! I'm glad you had such a great time, Nicole. 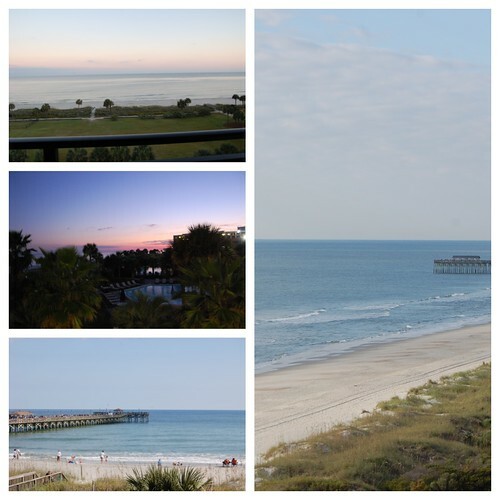 Myrtle Beach looks heavenly! The retreat looks great too! Great pics Nicole. It looks like everyone had such a great time. Don't you wish it was a TWO WEEK Retreat??? LOL I surely would. Thanks for sharing the great pics!! Great beach pics. Glad you had a great time at retreat. You are fast with the pictures...great seeing you again! Nicole - great pictures!! Looked like such a blast! ps... you looked great - love your haircut. Oh it looks like heaven! Can't wait to hear more about it when you get the chance. It was great so see you again. Great pics, Nicole! It looks like such fun!